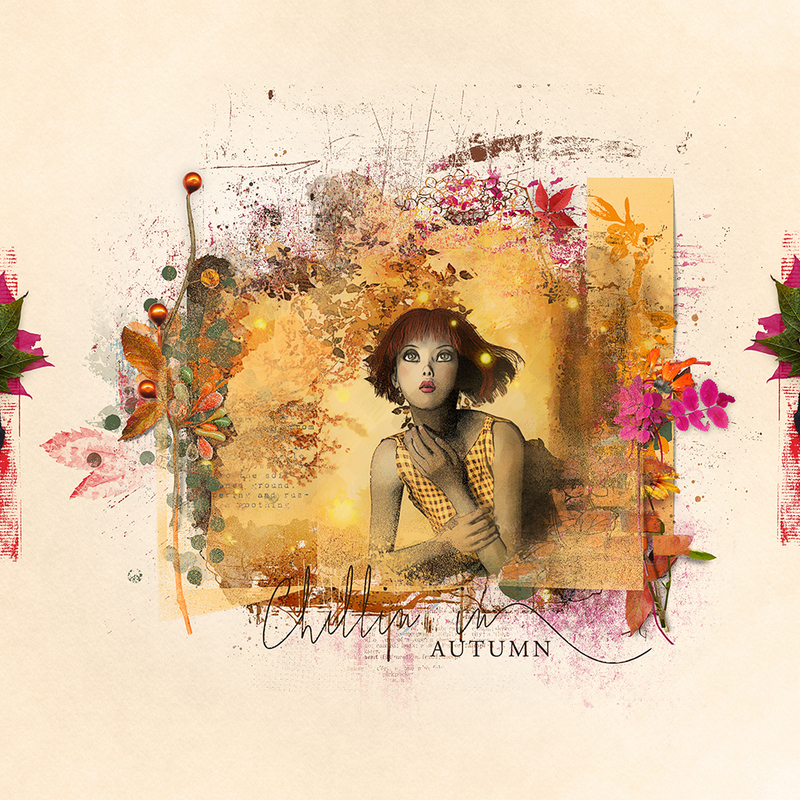 Marianne here here to show you my layout using NBK Design’s Colorful Autumn collection called artCrush #8. This collection is so awesome and vibrant! Love it so much! 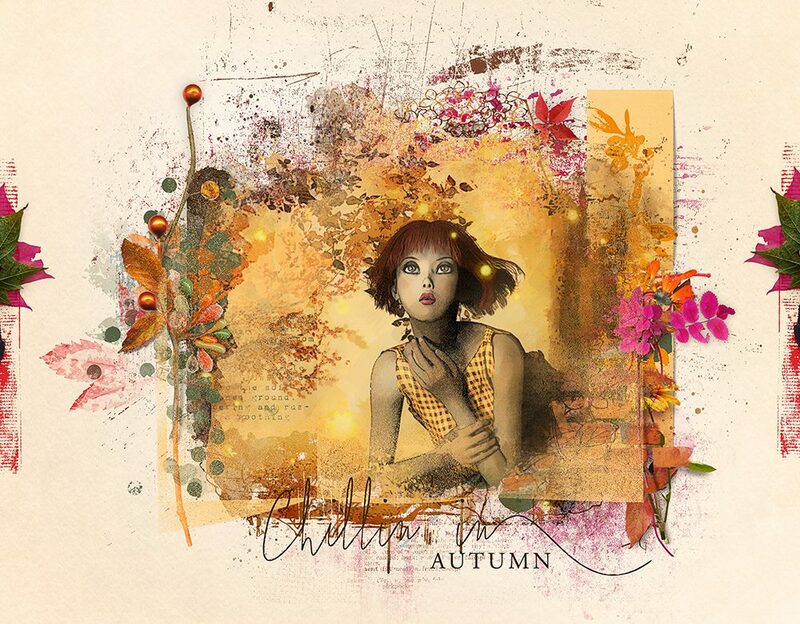 It inspired me to make this autumnpage! Reminding me of myself, leaning out of my window to take the autumncolors in! I colored the fantastic brush from the brushmix to an orange color from the photo! I used a color overlay in photoshop to do that. I love the result!